Getting dental X-rays turned out to be a religious experience for a woman in Flagstaff, Arizona. 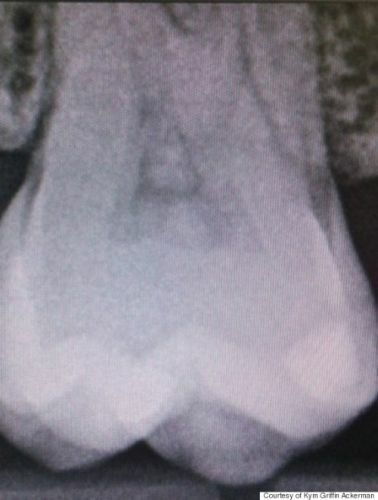 When Kym Ackerman, 32, went in for her regular dental check-up on March 25, the hygienist didn’t find any cavities, but they did see something else: The image of Jesus in one her left-side molars. The dentist wasn’t as impressed. I wonder what’s on her ribs. If she thinks Jesus is in her enamel, I’m pretty sure that isn’t a “wisdom” tooth.